It's theigreatest thingito happenito all Mon-kind! For the first time ever: Catch the original 13 episodes of the ultimate adventure -- the ones that started it all! 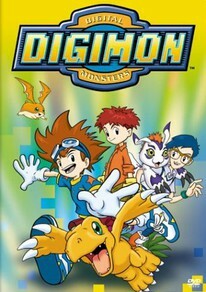 Join the coolest kids and their Digimon -- crazy digivolving digital monsters -- in their fight to save DigiWorld from evil. As they travel through mysterious lands it's one awesome battle after another against the most terrible monsters in the whole, wide, digital universe! It's complete Digi-action! Plus 8 hilarious "Digibloopers" -- available only on this DVD.